to a spot on the floor. now you are there no more. from up beyond the hill. your golden voice is still. and that empty muted hall. and unused dish along the wall. until we meet again, above. 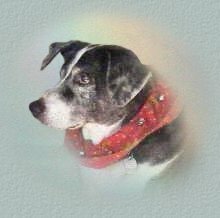 Precious Jake went to Rainbow Bridge on August 29, 2011. His actual birth date is unknown, but he lived a happy life for 14 years after being rescued by his devoted family. This precious pup will be greatly missed. 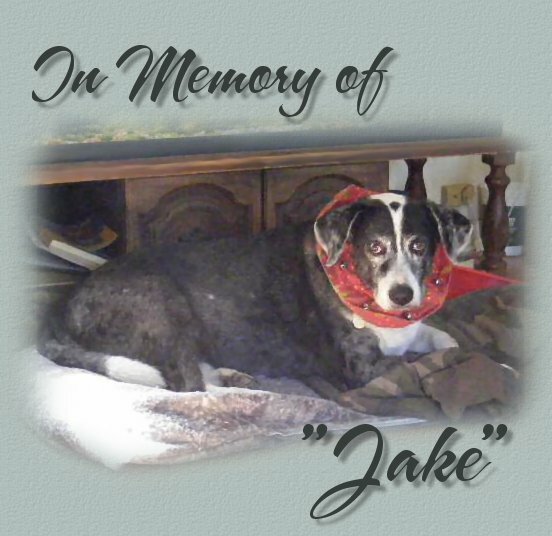 This page is dedicated to the precious memories of Jake to comfort the hearts of Jake's family members, my friend Janice and her husband Don. 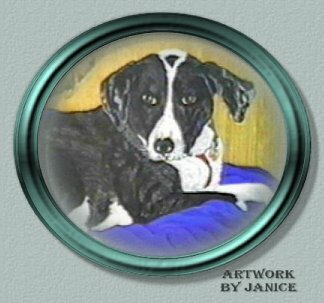 Janice is a very talented animal artist and displays some of her work at "Artwork by Janice." You'll want to be sure and check out her work there. 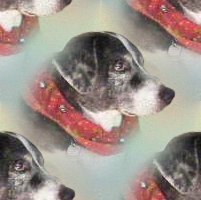 Midi: "Eclipses Of The Heart"